The overtime rules summarized are not applicable to all employers or all employees. Occupations that generally are not subject to overtime laws include health care and attendant care, emergency medical personnel, seasonal workers, agricultural labor, camp counselors, nonprofits exempt under FLSA, salespeople working on a commission, transit drivers, baby sitters, and other household workers, and many others. 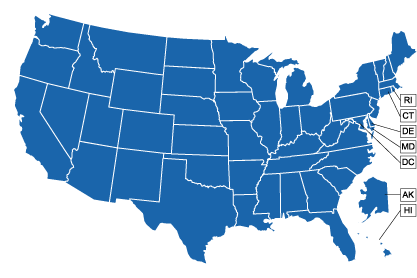 For more information, contact your state’s department of labor and be sure to check its website, where most states have posted their overtime rules. Notes: Employees in retail and service establishments who spend up to 40% of their time on nonexempt work must be paid at least twice the state’s minimum wage ($572 per week).